Every single right set forth in The Declaration of Independence was first preached from the American pulpit. November 3 8 AM-10 AM Body Builders Ministry First Baptist Church 905 Main Street, Sanford, ME 04073 breakfast included. July 7-13 127th Annual Congress of The National Society Sons Of The American Revolution Knoxville, TN. June 10-12 Machias, Maine - Magaretta Days Festival "The Lexington of The Sea"
October 15 Keynote speaker for the New England District Meeting Sons of The American Revolution The Old Mill Westminster MA. June 27 11 am - 3 pm Faith Fest in Newport NH or call Pastor Sam Coberley at (603) 203-9497. 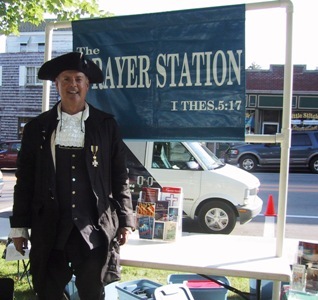 July 26 Sanbornville United Methodist Church Meadow St. Sanbornville 10 am Pastor Mark Whitman Jr.
September 26 10 am Special Revolutionary War presentation - NHSSAR & The Patriot Pastor Heroes of American Liberty @ The American Independence Museum in Exeter NH call 522-9115 for info. 11:45am March For Life from the Rally around the Concord Feminist "health" Center then to St. John the Evangelist to warm up have some carry-in, by donation lunch and hear Jeanneane Maxon. 11:45 am March For Life from the Rally past Concord Feminist "health" Center then to St. John the Evangelist to warm up & have some carry-in, by donation lunch. September 10 7:30pm - Wolfeboro Historical Society at Wolfeboro Community Center 22 Lehner Street, Wolfeboro, NH. April 4 6-7 pm WCSA 106.1 FM What is The Resurrection all about? January 5, 2011 Biblical Exortation to and prayer for the NH State Legislature on the Capitol steps. February 26 10AM - Bay Church in Alton, NH. Bibles, Beans and Bullets. For details contact Jim Miller at 603-875-7923. March 9 2PM EST recording Easter Resurrection Message for "Issues in Education" national broadcast. April 7 10AM National Day of Prayer Strategic Prayer 66 Buttercup Lane Sanbornville 603-522-9115 for info. May 21 Wakefield Pride Day Gospel & Patriot witness march in the parade... booth w/prayer station. June 16 7:30AM Speaking at the Queen City Rotary. Camp Constitution will hold its 3rd Annual Summer Camp from Saturday July 9 to Friday July 15th at the Toah Nipi Christian Retreat Center in Rindge, NH. This year's camp will feature speakers Rev. Stevie Craft, N.H. State Rep Dan Itse and New Hampshire's Patriot Pastor Garrett Lear. 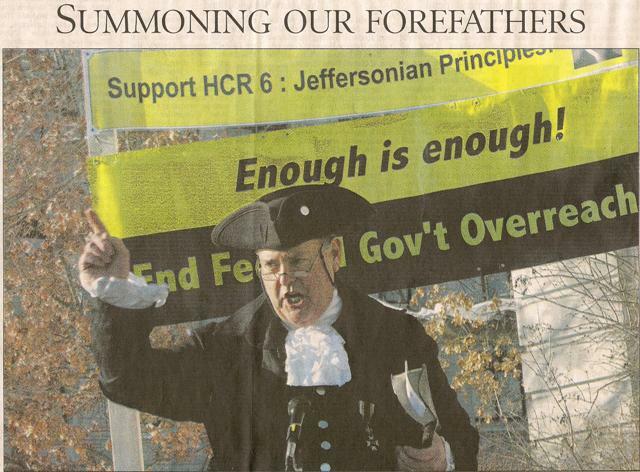 Camp Constitution will offer classes and workshops on the U.S. Constitution, U.S. History, Economics, The Federal Reserve, exposes on global warming and the United Nations, how to influence opinion molders and become an opinion molder, and outreach activity to the local communities distributing copies of the U.S. Constitution. The camp also offers plenty of recreational activity including swimming, boating, basketball, volleyball, chess tournaments, and indoor rock climbing. Field trips include a vist to Concord, Massachusetts and the Old North Bridge and a hike up Mt. Monadnock. August 16 11:05-11:20 "Bulldog Live" on WTPL 107.7FM The Pulse in Concord. January 19th, 11AM - Hearing on the Religious Heritage Resolution before the House Judiciary Committee, Room 208 of the NH Legislative Office Building. January 23 - Special Revival Meetings with New England Alliance - for more information contact Jonathan Friz (10daysofprayer@gmail.com - 314-306-8037) - Venue TBA. February 20 - Special Revival Meetings with New England Alliance - for more information contact Jonathan Friz (10daysofprayer@gmail.com - 314-306-8037) - Venue TBA. April 10, 10AM-2PM - Second Amendment March - State House Plaza, 107 North Main Street, Concord NH - click here for a flyer with additional details. April 15, speaking at the Capitol Building in Augusta, ME. May 11 4pm City on a Hill Radio B.cast Diana Crews 334-449-3910 for info. Camp Constitution will hold its 2nd Annual Summer Camp from Saturday July 10 to Friday July 16th at the Toah Nipi Christian Retreat Center in Rindge, NH. September 29 6pm WSCA radio Portsmouth... Right Here Right Now w/John Anthony Simmons Sr.
February 28 11AM NH Society Sons of The American Revolution. The Yard restaurant. Bedford, NH 978-970-0166 for res. March 5 12:30 est Skype video classroom with Rock County Christian School WI Christian involvement in politics contact Kevin Thompson 617-538-2292 for info. April 15, 2009 5:30PM Taxpayer 'Tea Party' - Victory Park, Manchester, NH - click here for more information. April 17, 2009 - "Faith Matters in Maine" radio program - audio available here. May 7 - National Day of Prayer NH 7:30am Prayer Breakfast in Concord call Judy Mason 315-8500 for res. June 12 12:30PM American Revolution Town Hall Meeting - Kingdom Baptist Independence Hall, 700 Gordes Drive, Venus, TX 76084 - click here for details. June 12 7-9PM The Patriot Pastor at First Baptist Church Melissa, 2600 State Hwy 121 (at FM 545), Melissa, Tx, 75454 - click here for details. June 13 Constitution Party Convention in Texas - E-Mail Bryan Malatesta bryanm @ npn.net for details. July 23-27 NE Alabama Churches and other venues to be announced call Greg Chapman 256-541-1756 for info. August 16 -Sonday- 10 am North Berwick Milfield Festival community church service Pastor Paul Johnson 603-767-7996 for info. October 21 7:50AM WXME radio AM 780 Monticello ME. Host Steve Martin, The Aroostook Watchman program. December 22 - "Red Pill Politics" Radio Program - Valley Free Radio WXOJ-LP 103.0 FM Northampton MA. August 12, 9-11PM EST "We The People" radio show http://www.blogtalkradio.com/WTP-Texas (347)838-9147. The Patriot Pastor will be speaking about why is it important that churches not be licensed, incorporated, or a 501C3. A live stream of the show will be available online. Listeners can call in to ask questions or visit the website and submit questions there during the broadcast. August 30, 10-12 PST KWDJ Cox Affiliate www.foxtalk1360.com "Community Spin" This appearance will be available on our website after the broadcast. September 28, 10 am - House churches gathering 66 Buttercup Lane Sanbornville, NH. 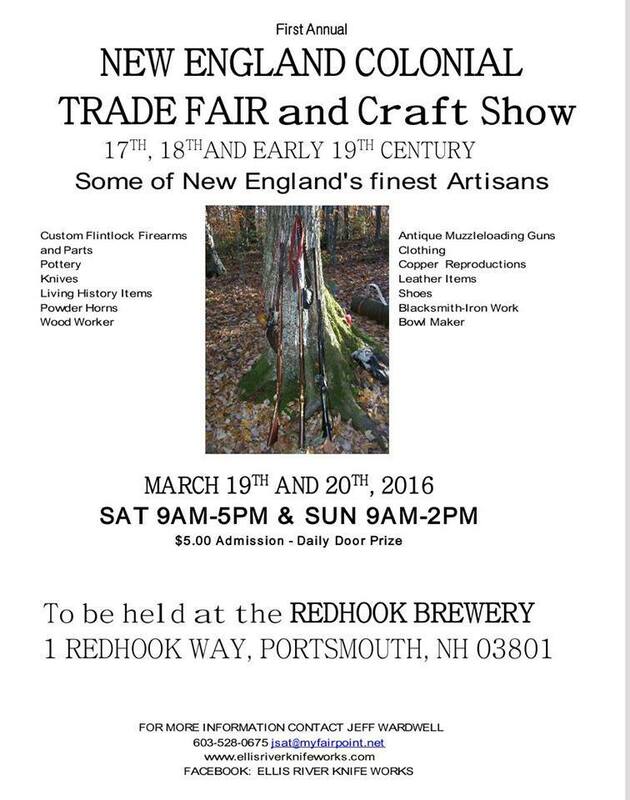 For info and/or directions call (603) 522-9115. Check back often as dates are being added frequently - including into 2009 (Liberty Forum, SAR, DAR).